Universal Infrastructure Systems was established in the year 2001 are the leading manufacturer, supplier, wholesaler and trader of Steel Cot and Cupboard. We are facilitated to realize our full potential by catering the widest assortment of best in class range of products, including Steel School Furniture, Office Work Station and Wooden Home Furniture. Our products are recognized for excellent workmanship and creative artistry that complement the needs of our clients. These are extremely preferred by our worldwide customers for their graceful designs, smooth surface finish, sturdy and excellent termite resistance. We pick out the best vendors to provide us with our raw inputs after conducting a thorough research in the marketplace. We chose only those vendors who are dedicated towards their obligations and are capable of rendering the needed measure of sensitive material within the stipulated time. In parliamentary law to sustain the quality of the procured inputs and the perfection of the finished output, we have employed a team of proficient quality assessment inspectors. We trade our products under the brand name of "Godrej". Moreover, we too hold a huge warehousing section to store products safely and logistic unit to dispatch the range on time to the customers. Every member of the team adheres to the global quality norms while developing the array to provide complete satisfaction to the customers. With right business policies and quality oriented approach, we have built up long term business relations with valuable customers, based across the country. Furthermore, we have constructed a state-of-the-art infrastructure, which operate in a streamlined manner to meet the urgent and bulk demand of the clients. The unit is fortified with the requisite tools and technology serving us in huge production of the gamut. The experienced and expert team of artisans and artisans complete the given task to them with utmost proficiency. In accession to this, we are connected to major transportation network, storage and logistic team that assist us in dispatching our quality product to patron's premises in perfect timing. Under the able leadership of our mentor, Mr. Ram (Sales Manager), we have been able to conform to the precise demand of customers in the most effective way. 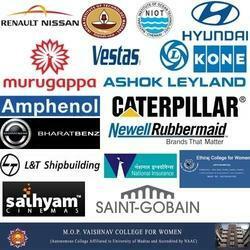 Their rich industry knowledge and acute business acumen to help us get an eminent figure in the sector. Given a choice, we always opt for quality and make sure to transmit the line of work as per prevailing market trends followed by updating work methodologies and strategic plannings. The company not only emphasizes on creating quality products, but also focuses on revolutionizing the area of home decor products by introducing a product collection that equally holds style and endurance. An in-depth study is done by our Research & Development team on the securities industry trends and their traces are included for the enhancement of our product's quality. Our products can compete with the best in the industry and we plan to extend our views further.